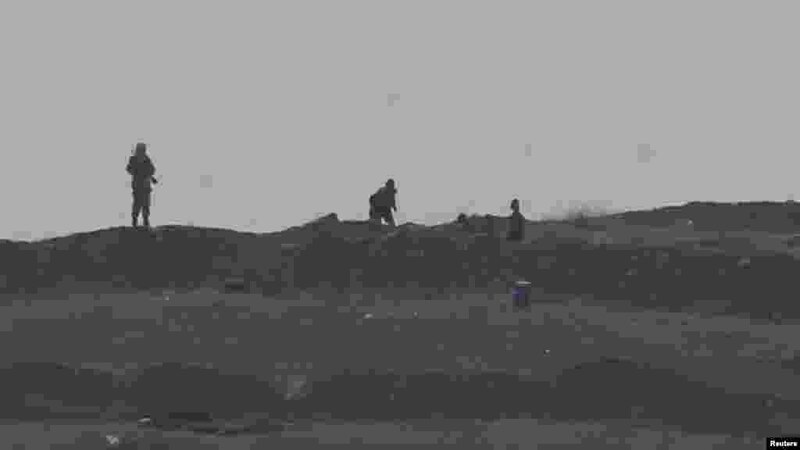 Kurdish defenders held off Islamic State militants in Syria's border town of Kobani on Sunday, but the fighters struck with deadly bombings in Iraq, killing dozens of Kurds in the north and assassinating a provincial police commander in the west. 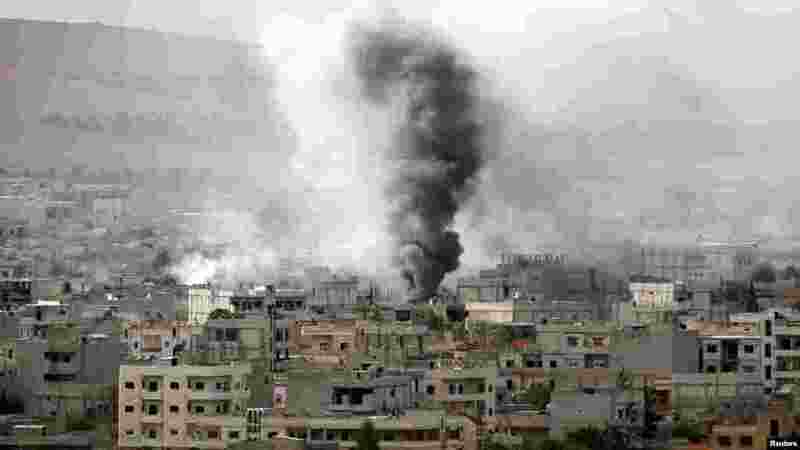 1 Smoke rises from the Syrian town of Kobani, seen from near the Mursitpinar border crossing on the Turkish-Syrian border in the southeastern town of Suruc in Sanliurfa province, Oct. 12, 2014. 2 Armed men, presumed by local sources to be Islamic State fighters, are pictured at a checkpoint in the west of Syrian town of Kobani, seen from near the Mursitpinar border crossing on the Turkish-Syrian border in the southeastern town of Suruc in Sanliurfa province, Oct. 13, 2014. 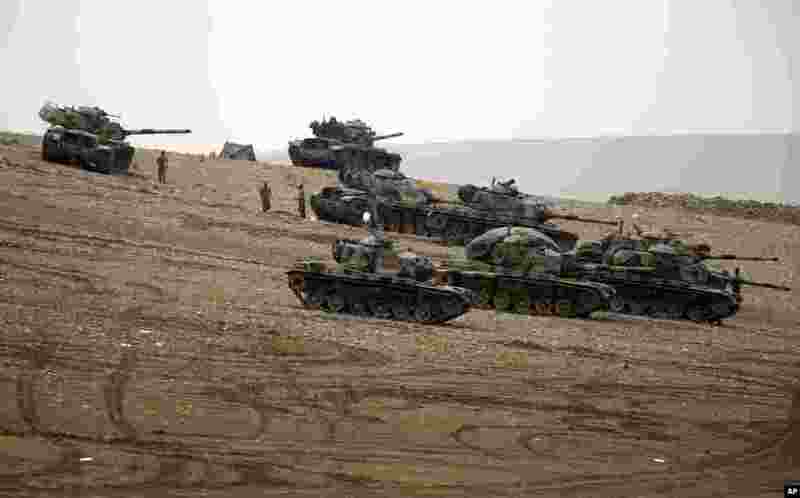 3 Turkish soldiers hold their positions with their tanks on a hilltop on the outskirts of Suruc, at the Turkey-Syria border, overlooking Kobani, Syria, during fighting between Syrian Kurds and the militants of Islamic State group, Oct. 12, 2014. 4 Turkish Kurds wait to look through a press photographer's camera and telephoto lens to get a view of Kobani, Syria across the border, where Syrian Kurds and the militants of Islamic State group have been fighting, at a hilltop on the outskirts of Suruc, at the Turkey-Syria border, Sunday, Oct. 12, 2014.